Miriam Ahmed, PhD. Lecturer, Howard University, Washington, DC. I'm a 2019 AIGA DC SHINE Mentor! While teaching graphic design at Howard University, I successfully cultivated a dynamic and educational environment for students. Education, publications, service and work. 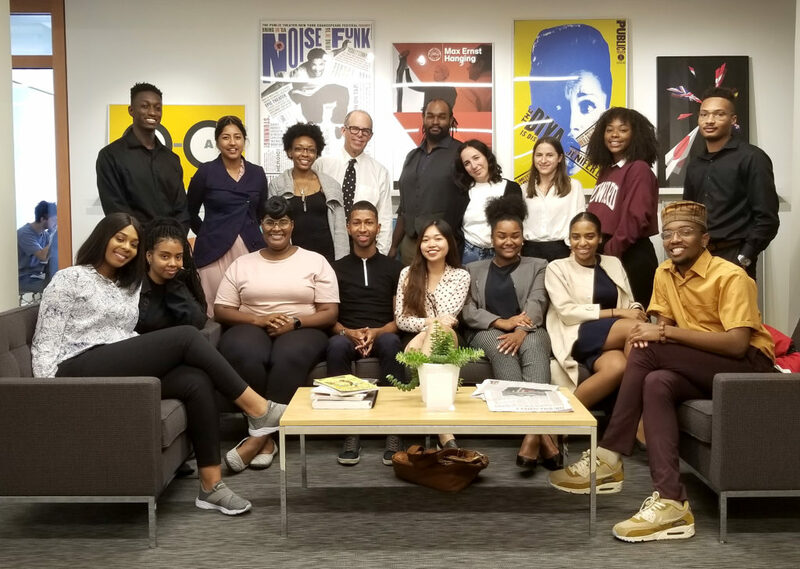 Howard University Art and Design students visited Michael Bierut and his team at Pentagram’s New York office on October 11, 2018. Students chatted about diversity issues in the graphic design industry with Eddie Opara, Partner at Pentagram, on a tour of the New York studio. During lunch, the students discussed challenges and opportunities for junior designers with Bierut’s team members, Naomi Abel and Katie Rominger. “Minority Designers – Leading the Charge Toward Responsible Design” 2018 in Citizen Designer: Perspectives on Design Responsibility, 2nd edition, Steve Heller and Véronique Vienne. Allworth Press.